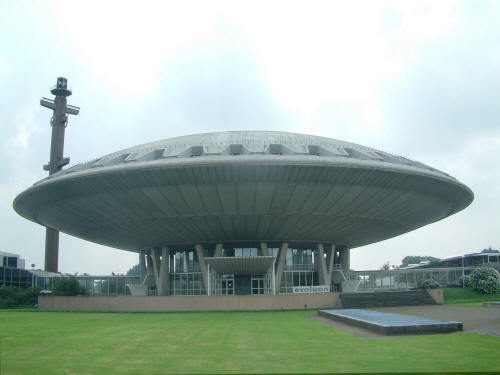 My first beacon was QRV from Eindhoven around 1980, almost on top of the tower close to the Evoluon transmitting with 1.5 Watt into an 7 dB omni antenna on 1296.875 MHz. 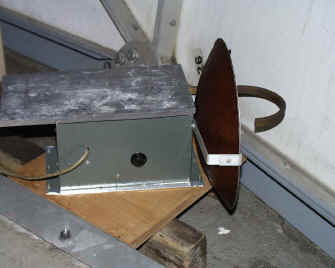 In 1980 I build a 10 GHz beacon when I was working at the Technical university of Eindhoven. 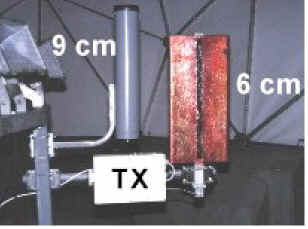 It was 100 mW output on 10368.025 MHz with a 23 dB horn antenna transmitting to Northwest, direction PA0EZ with call sign used PA0MS. some time later it moved to Utrecht and then back to Eindhoven. As far as I know it's QRT now. 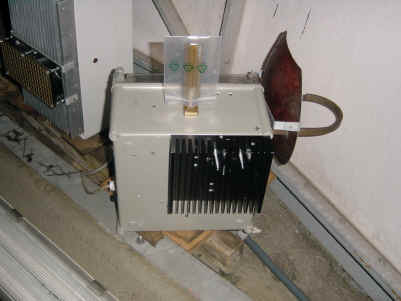 When I started living in Enschede I setup a 10 GHz beacon PA0EHG in front of my window at the 9th floor of the building where I lived. 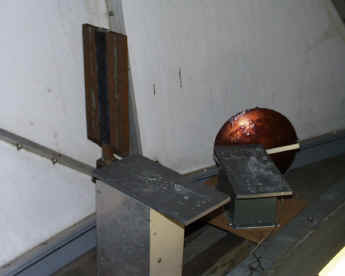 This one was on ± 10368.200 MHz with 80 mW output and a 30 cm dish aiming West. 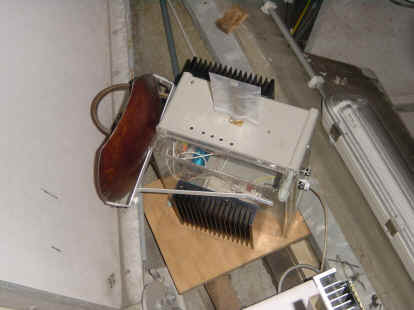 When I started my QRL at Schiphol I setup my 10 GHz beacon on top of the ATC tower first on 10 GHz. 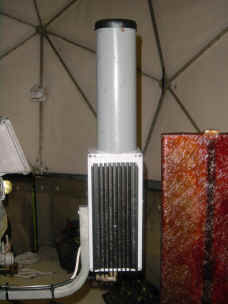 In the years after I build new beacons for almost all microwave bands and with high output Power. of the new Dutch rules for unmanned stations. That was the end of my beacon keeping. I made a special antenna mast for the beacon on the back of my garden. 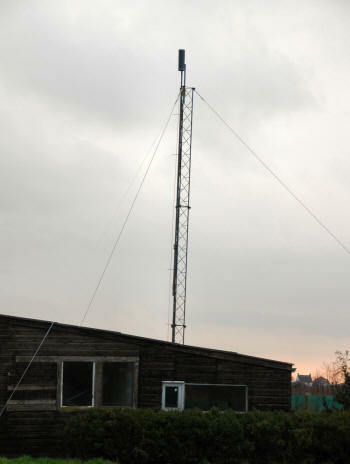 Its a 9 mtr mast and the beacon antenna is at 10 mtr. Take off is very fine in all directions so for tropo and rain scatter the location should be OK.
Because of the new rules for unmanned beacons in the Netherlands the beacon is remote controlled. Further detail will follow on this page. Please send me your RX report. 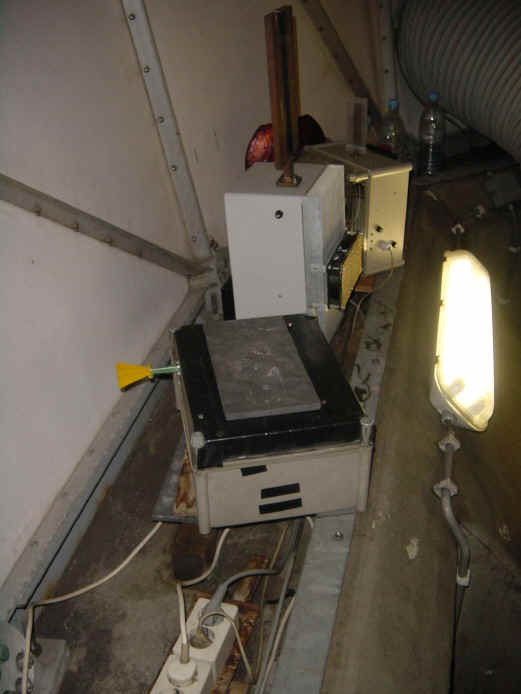 See the letter from the UK microwave group, received to help in the process for keeping the beacons at Schiphol. Many thanks for the support. It did not help for keeping the beacons at Schiphol. Perhaps it helps finding a new location. I am looking for a new location for the beacons, what I need is a location preferably high above the surrounding area, more than 50 mtrs ASL. I need full approval to go to the site for maintaining and repairs if needed. For the different beacons I need to have a mounting place for the different antenna's and a place for power supplies and oscillators. 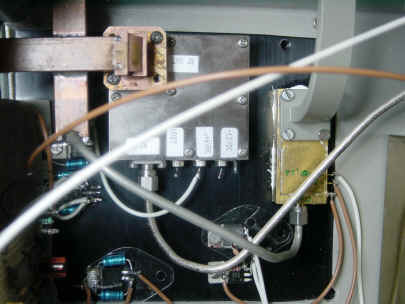 The place for the antenna's should be preferably free of regions where people come because of the high microwave field strenght. I need a main power supply connection and possibilities to connect to lightning protection. 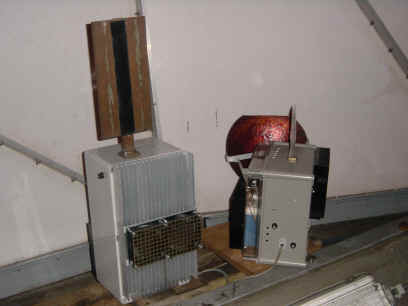 The new site should not be in use for contesting on the microwave bands because the beacons should not be switched off during a contest. Anyone who could help me in finding a new location please contact me for furtehr information. Old information off the beacons. 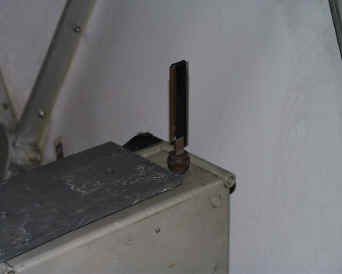 On the omni antenna is a small bag for closing the slots from dust. 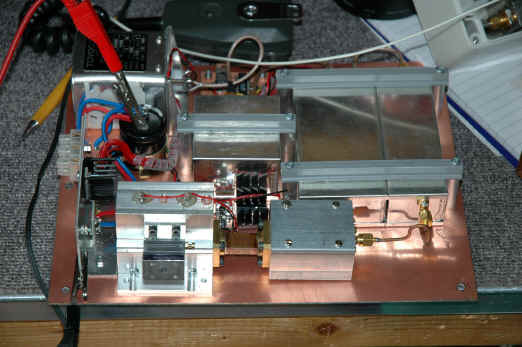 On the right side a heatsink is mounted with the multiplier and power amplifier on it. 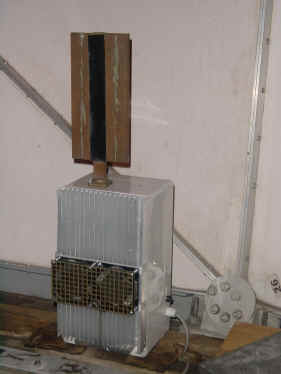 After many e-mails with John, G8ACE about his fet multiplier for 47 GHz and mentioning that I wanted to use such a multiplier for a beacon for Schiphol John offered me a beacon setup on loan basis to see how the multiplier would behave. John made me a nice system which I only had to put in a box. 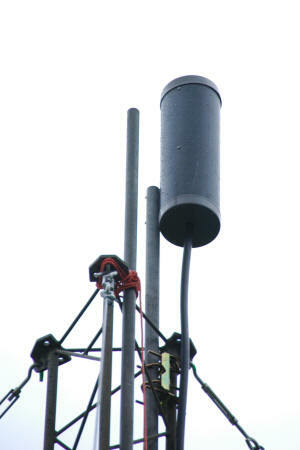 with 10 mW output in a 16 dB horn antenna giving 400 mW ERP. The beacon will be changed to a own beacon by the end of the year, I hope with help of John.